We are a family owned and operated business, established in 1983, serving Sacramento and the surrounding areas. We offer in home TV repair service. All our technicians are factory trained and have undergone a criminal background check and drug screening. We have been featured in Sacramento Magazine's, Best of Sacramento, as editor's pick for best place for consumer electronics repair. We are an Accredited Business with the Better Business Bureau and have always operated to high standards. We are a member of NESDA and The National Service Alliance. 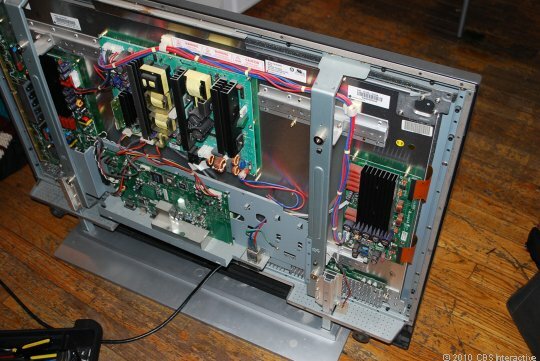 HDTV, LCD, Plasma, DLP and CRT based TV in Home Service and Repair. Factory Authorized For Most Brands. Authorized For Most Extended Warranty Service Contracts. Lamp Sales for DLP and LCD Projection TV'S.